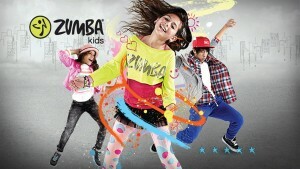 Perfect for our younger Zumba® fans! Helps develop a healthy lifestyle and incorporate fitness as a natural part of children’s lives by making fitness fun. Classes incorporate key childhood development elements like leadership, respect, team work, confidence, self-esteem, memory, creativity, coordination, and cultural awareness. Kids 4-6 years old get the chance to socialize with friends and jam out to their favorite music. Classes are rockin’, high-energy dance parties packed with kid-friendly routines. We break down steps, add games, activities and cultural exploration elements into the class structure. Kids 7-11 years old get the chance to be active and jam out to their favorite music.Classes feature kid-friendly routines based on original Zumba® choreography. We break down the steps, add games, activities and cultural exploration elements into the class structure.